I had to take a closer look at the Move Over glitter pumps by Chinese Laundry when I saw them on Kristin Cavallari (and on her cute puppy!). Glitter shoes have really grown on me over this year. Blame it on Miu Miu who started it all. As you are all aware, the hardest part is choosing a color. I’m leaning towards the black pair to wear with just about everything. However, after seeing this video… I’m going with the light gold. 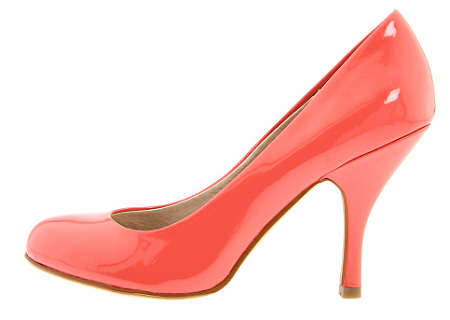 Plus, they are on sale for $59.99 $79.95 at zappos.com! Pop, pop, color pops! 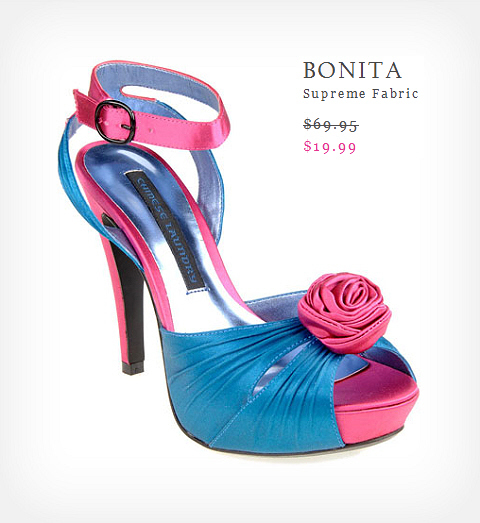 Chinese Laundry’s Bonita pumps scream spring in delightful pink & blue, and they are on sale for only $19.99 $69.95. 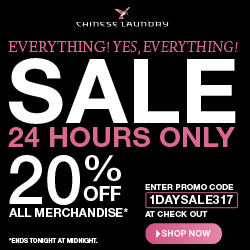 Even better, Chinese Laundry is currently offering FREE shipping on all orders. 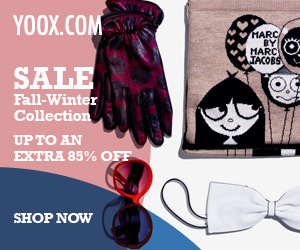 Please use code CLFREE323 at checkout! 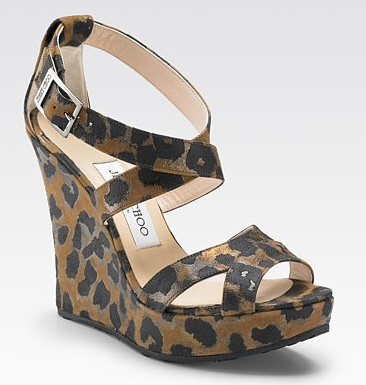 Jimmy Choo’s Penny leopard-print wedge sandals retail for $449. Equally chic when worn with black tights. 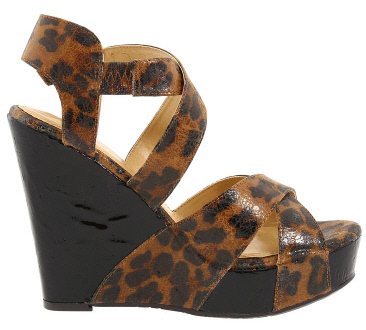 You can flaunt a similar style for much less in these Drastic wedge sandals by Chinese Laundry. A versatile pair to go from day to night, from shorts to a LBD. Available for $31.05 at 6pm or for $65.55 at Shoes. 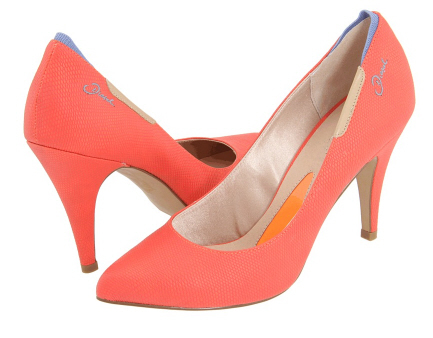 Coral pumps to liven up your spring/summer wardrobe. A sleek silhouette is fabulous to go from day to night with ease. 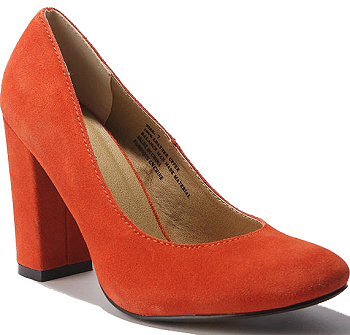 Probably the absolute easiest way to give a huge pop to your ensemble is with a colorful pair of heels.